If this is in any way exciting, Steve Cunningham (28-7, 14 KO) is at fault. Only one inch taller, he nonetheless has an seven-inch reach advantage over Antonio Tarver (31-6, 22 KO). When neither fighter has a decided edge in punching power, it is generally the man with the smaller reach that has to expend more energy and throw more punches getting inside. At forty-six years of age, the slower and smaller Tarver would prefer a leisurely pace. Cunningham should take advantage of Tarver's left hand dominance by outworking Tarver's lead right hand with his own left lead. Tarver will want to capitalize on Cunningham's two-handed combinations, where he squares up, with left-hand counters. Rather, he should force Tarver, against his will, to have to work more than he wants to create action – to expend energy feinting, bobbing and weaving, moving his legs, using multiple jabs, and becoming a more two handed combination puncher on the inside – rather than resting back as a counter puncher. I see Cunningham winning a decision based on activity with his jab. 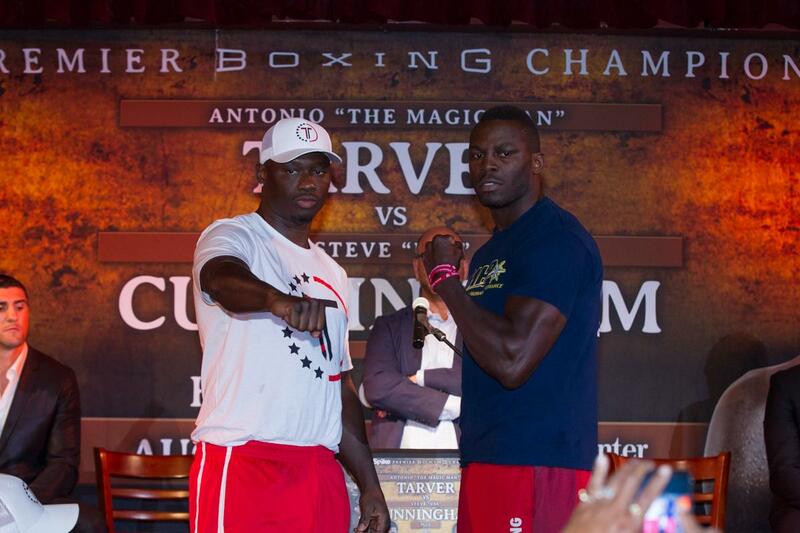 Antonio Tarver vs. Steve Cunningham airs on Spike TV on Friday night. In this is in any way exciting, Steve Cunningham (28-7, 14 KO) is at fault. Only one inch taller, he nonetheless has an seven-inch reach advantage over Antonio Tarver (31-6, 22 KO).